Birmingham's impressive panorama of church spires, skyscrapers and industries. Birmingham is a city and metropolitan borough in the West Midlands county of England. Its population of over a million makes it the most populous British city after London, and Birmingham jostles with Manchester and Glasgow for the title of "Britain's second city". A small hamlet in Anglo-Saxon times, Birmingham's population exploded when it became a powerhouse of the Industrial Revolution in England, leading to it being dubbed "the workshop of the world" and "the city of a thousand trades". The ethnic makeup of Birmingham diversified greatly after the Second World War when the city received waves of immigration from the Commonwealth of Nations and beyond, making it a centre for multicultural and interfaith encounter. Though its industrial sector has declined, Birmingham - nicknamed "Brum" - is still a major centre of commerce. It is a national hub for conferences, retail and cultural events along with high-tech research and development supported by its three universities. Pope Benedict XVI visited Birmingham in 2010 to beatify its famous Victorian resident Cardinal John Henry Newman. Being a multicultural city Birmingham is a centre of activity for several major religions. The city's beautiful Cathedral Basilica of St. Chad is the heart of the Roman Catholic Archdiocese of Birmingham. St. Chad's Catholic Cathedral in central Birmingham. 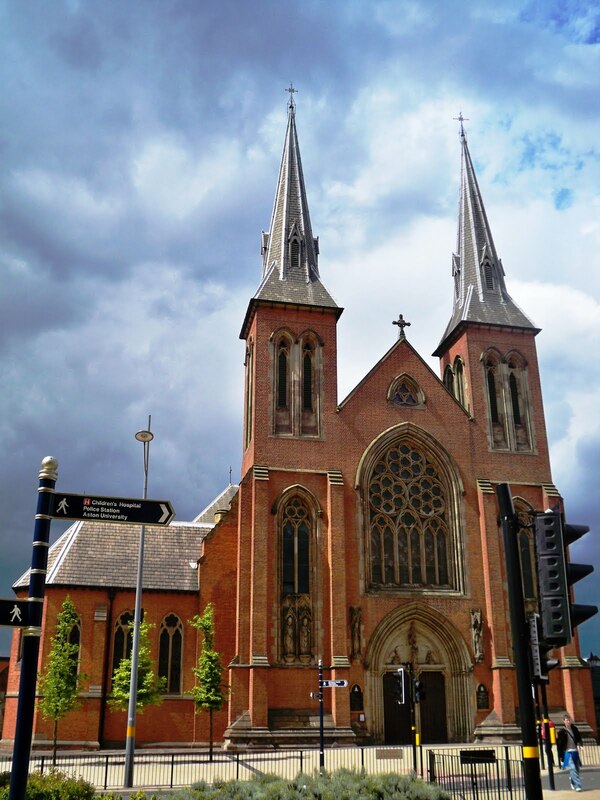 The Cathedral is the meeting place for the Carmelite Third Order Chapter in Birmingham, which is one of the most vibrant Lay Carmelite communities in the British Province. Established about the year 1946, and canonically erected (legally confirmed) in 1955, the community has a full programme of social and spiritual events, including initial and ongoing formation. Birmingham's Third Order Chapter celebrating its Golden Jubilee in 2005.
to mark the visit of the relics of St. ThérÃ¨se of Lisieux to Britain in 2009. 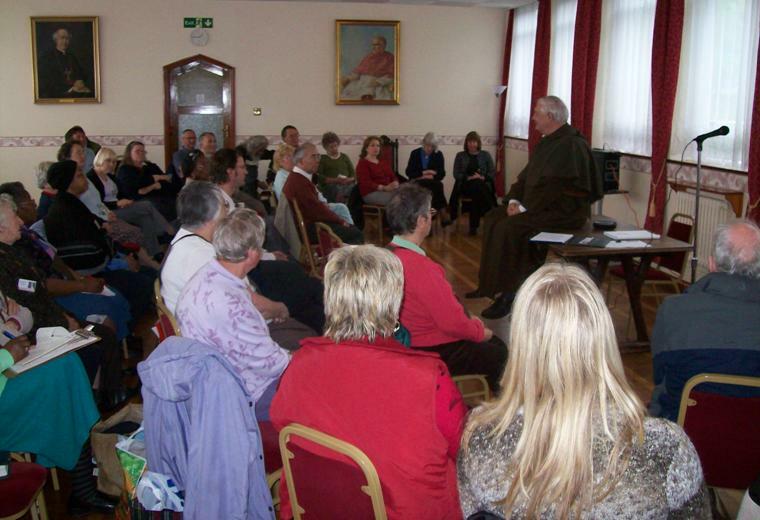 The Birmingham Lay Carmelites have strong links with other Carmelite communities in the area, including the Corpus Christi Carmelites in Birmingham, and the Carmelite Third Order Chapters in Coventry and Leicester. Together with these communities the Birmingham Third Order Chapter takes part in an annual Midlands Carmelite retreat, which varies in location and time of year; regular venues include the Redemptorist Pastoral Centre at Hawkstone Hall and the Discalced Carmelite Priory at Boars Hill. To e-mail Margaret please click here.